Meet Vivian and Jenni, two Best Fashion Friends (BFFs), with oh-so-glam looks that are off the hook! 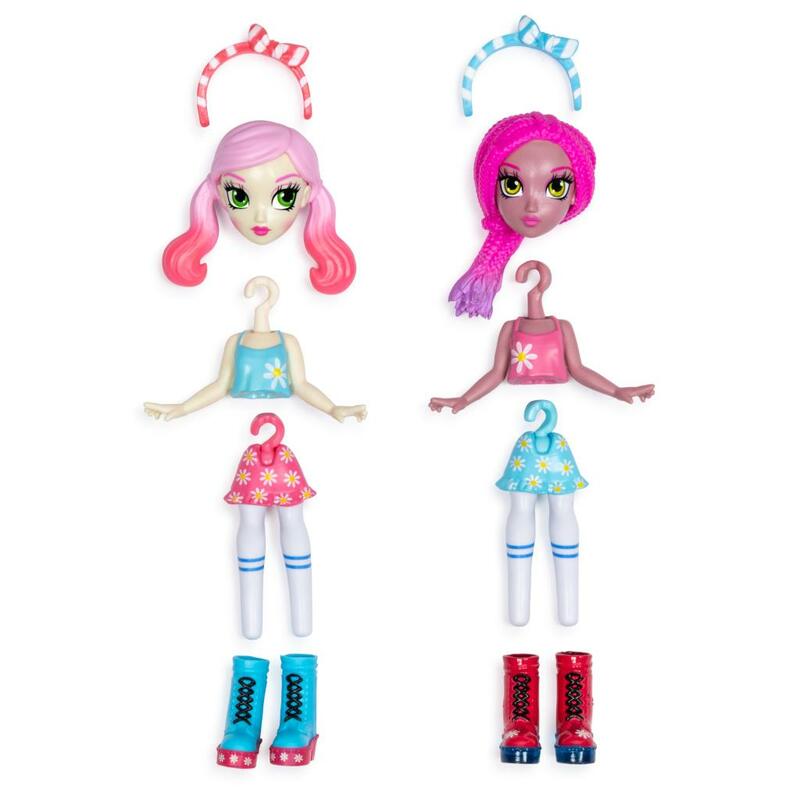 Each small fashion doll can be completely styled from head to toe by you! You can mix and match their hairstyles, tops, bottoms, and shoes with the easy, hook-together fashions. Then add oodles of chic accessories to complete the look. Vivian and Jenni come wearing seriously cool outfits from the must-have Summer Vacay Collection. Mix up the colorful trendy fashions (many are metallic, pearly, or sparkly!) to create unique looks. Get fashion inspo in the full-color, lookbook of outfit ideas included. Love surprises? Discover four mystery accessories in every package! Open to reveal two shopping bags, one shoe box, and one hat box, each with a tissue-wrapped surprise inside! Unbox cute handbags, hats, shoes and more. Use them to add the finishing touch to Vivian and Jenni's summertime looks. Off The Hook Style BFFs are the perfect gift for aspiring fashionistas who wanna have fun with fashion! 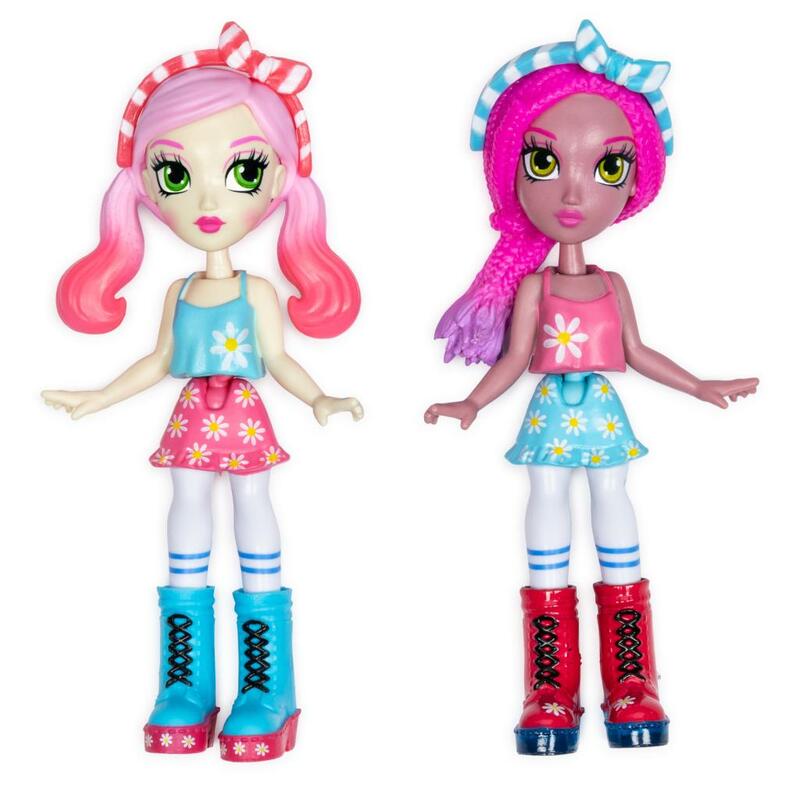 Hook up with other Style BFFs including Naia & Mila (Concert) and Brooklyn & Alexis (Spring Dance) for more ways to style and play! 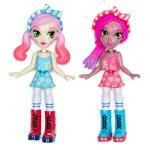 CUSTOMIZE DOLLS FROM HEAD TO TOE: It's up to you to decide what's cool! Start with your small doll's pretty face, then add ponytails or a braided hairstyle, chic top, colorful bottom, strappy shoes, and fun accessories. Easily hook together fashion pieces to create unique, fashion forward looks. Change your mind? Outfit changes are quick and easy-just start over and create new looks again and again! ENDLESS MIX & MATCH FASHION LOOKS: The more Off The Hook fashions you collect, the more outfit combinations you can create! Some fashion pieces have metallic or sparkly details-some even have rainbow glitter! With two, super-cute looks from the Summer Vacay Collection, you can style Vivian and Jenni in so many ways. Crop Top + Daisy Shorts + Strappy Sandals? Flower Top + Pink Shorts + Mod Boots? What will you wear for a day of fun in the sun?